This road we're on is life changing in so many wonderful ways, and although it's not perfect, it is certainly a 'good outweighing the bad' type of thing. Feeling like I can breathe again, sleep again, walk or run again, have confidence again---oh wait, the confidence thing, yeah—that's a new one, all of these things have returned---some have been absent since childhood, and some are completely new experiences. I highly recommend professional therapy to deal with these incredible changes. I say that, yet I don't have a therapist. At some point that may change. Think about it. So close to my goals, I'm experiencing life like never before. I'm a stranger to myself sometimes. I look in the mirror and see someone new and I know it's still me in here, but I can't help but be a little uneasy about this new guy. I question my decision making skills every know and then, because maybe they're influenced by these new sensations. I'm still me and I want to make all the right moves, it's just sometimes hard to trust that guy staring back at me in the mirror. I prepared a giant sized five egg-white omelet to start my day. I loaded the thing with shrimp, green and red peppers, mushrooms, and low-fat part-skim mozzarella. Physically it was heavy, somewhat misleading considering the 250 calories it contained. I also enjoyed a banana for desert. Desert at breakfast? Why not? It was a banana! I ran into my dear Aunt Margaret today. Her and my uncle divorced years ago, but she'll always be my aunt Margaret. It was strange really, running into her. She hasn't laid eyes on me at all since I started, at least I can't remember a time. I was talking to some friends before I noticed her staring at me blankly. Her mind was racing... I know, I know that guy... She didn't have to say a word. I greeted her with “Aunt Margaret, it's me Sean!” And we hugged. She told me that she wouldn't have recognized me at all if I hadn't been talking. I'm completely unrecognizable—even to people that have known me my entire life. I'm pretty sure she use to change my diapers. It's crazy really. But it's fun. I remember dreaming of these happenings for years. Someday I'm going to lose enough weight, people will not even recognize me...just a dream back then, but reality now. It was good to see her. I should see her more often. I enjoyed a NY Strip Steak for dinner tonight with a small baked potato. Calorie King tells me that my steak was 590 calories. Wow, I could have trimmed that some, but it was OK. It was a nearly 800 calorie dinner, which completely violates my guidelines. I like to keep meals at 500 or less and snacks at 150 or less, normally I don't have a problem staying within that range. Tonight I splurged. But, I was still within my 1800 calorie budget, so I wasn't too upset about my consumption. It was good, real good. The friend who fired it up on his grill, knows how to make incredible steaks. I need my outdoor grill back! I let the flow of the day dictate my schedule. Sometimes that's good and sometimes it isn't. I found myself staring down midnight without a single rep of a workout. I decided to give myself a break tonight. I just relaxed and enjoyed the wonderful thoughts from the day that was number 503. I could write another two or three paragraphs about how I should have made myself workout tonight. How I sometimes get a little too comfortable and completely violate my own rules, but I'll save that for another day. Today was good. Day 502 Can't Help The Passion and Come Grocery Shopping With Me! Can't Help The Passion and Come Grocery Shopping With Me! I have to give enormous thanks to everyone that responded to my Day 501 post. The comments, emails, facebook messages, and personal phone calls were just incredible. Thank you! It is my sincerest wish that I didn't offend anyone at the Tulsa World. I simply wanted to clarify “how I did it,” and yes, fast food has been a part of this road, but a very small part. I couldn't let the moment pass without clarifying my weight loss philosophy. I'm very passionate about what I've learned along this journey and sometimes passion can be mistaken for fanaticism. When you discover the truth, and the truth sets you free, then how can you not passionately share the details? I had to write Day 501, because that's “how I did it.” And we're not done are we? Nope, not done! I've still got fat to lose and muscle to gain, and even when this transformation is “done,” my passion in sharing what I've learned will continue. I will happily spend the rest of my life sharing my story in hopes that it might spark something inside someone feeling hopeless to change. I felt hopeless to change for way too long. Not anymore. My Friday was far from typical. Long hours at work and lack of proper food planning resulted in a too long stretch without food. I typically eat something every three to four hours, but today included a nine hour fast that left my metabolism wondering what happened? I was in such a rush when I headed to the studio, I didn't even dress properly (workout pants), let alone grab food. Except for sleeping, that nine hour fast might be some kind of a record for me. I'm not proud of that, but seriously, I'm not sure if I've ever lasted nine hours without eating something. I'm not worried about it either. Again, atypical, no worries. When I did find some down time today, I chose sleep over working out. I took a monumental nap that was close to being a typical night's rest for me. After my nap, it was back to the studio for work, before ushering in a much needed weekend that started with a late night grocery shopping trip. Grocery shopping is so different for me now. It was always so fast and easy, if it looked good---throw it in the basket! These days, just running after a few items can take a little while---because I'm reading labels and calculating calories for everything. It's not a pain at all, in fact it's rather enjoyable as long as I'm not in a big hurry. The extra time and thought I put into my grocery selections are well worth the effort, believe me! I'm really disappointed that I'm not able to find Josephs flax seed, oat bran, and whole wheat pitas anymore. I was hoping they would bring them back. Those things were perfect little 60 calorie foundations for my homemade personal pizzas. I settled for the Flat Out brand of flatbread. They're 90 calories with 9 grams of fiber, which I love, and they do make a good size pizza---but the Joseph's pitas are my favorite. I spend more time in the produce section these days. I grabbed fresh mushrooms (a staple around here), green and red bell peppers, some tomatoes, an onion, bananas, and apples. I'm still not crazy about lettuce or fresh spinach, but I may get there someday. I grabbed some eggs too (another staple). A friend of mine who reads this blog everyday and has “converted” to the low calorie sensation of the egg white omelet, told me that he bought five dozen at one time. Wow, five dozen? I buy 18 packs, but maybe I should buy the 60 pack. I use at least four every time I make an egg white omelet. If I'm making for more than just me, then you can see how they go pretty fast. Chicken breast is another thing I keep around most always. It's so easy to throw one on the Foreman, even frozen, and in minutes it's perfectly ready to enjoy. I just recently discovered the low calorie count of shrimp. I guess I could never see it before for all the breading and deep frying, but take the added calories of that away, and you have a very low calorie treat. Huh, why haven't I discovered the calorie friendly shrimp before now? I grabbed some tonight! Thank you for coming along on this grocery trip! I was hungry and exhausted by the time I walked through my front door tonight. I prepared a Flat Out chicken pizza wrap that was fast, easy, and absolutely filling! I stayed up long enough to let it settle, then I collapsed. I'm looking forward to a much slower paced weekend! First of all, thank you for the many wonderful compliments concerning the Tulsa World article. I appreciate the Tulsa World and Matt Gleason for giving me that honor. It was and still is my sincerest hope that my story will help inspire someone where I was for so many years. Maybe reading of my weight loss success will spark something in someone, just enough for them to rekindle the desire within to change their life and escape the prison of morbid obesity. At one time, I honestly didn’t think I would ever get it together. I couldn’t do it, or so I thought. I thought I was hopeless and I knew I was dying a little everyday. But over the course of the last 501 days, I’ve proven that I can do it, and I know that they/you can too. So, for that exposure that might spark something for even one morbidly obese person, I say thank you to the Tulsa World from the bottom of my heart. From Day 494: My “nothing is off limits” approach was the only way for me at the start of this road. I believe it was for me and is a critical element to success for anyone trying to lose weight and change a lifetime of bad food habits. I knew that if I tried to change them all overnight, I was setting myself up for another failed attempt or temporary success at best. It was important for me to start with the simplest approach possible. I was considering my mental development, avoiding feelings of deprivation, and having a blast enjoying my favorites in responsible portions while dropping over thirty years of accumulated fat. Along the way I promised myself to eventually explore and remain open to better choices. To fully understand the psychological benefits of my approach you have to understand just how lost I was. I was addicted to fast food and processed everything. I was a complete raging food addict. And if you took me and shook me back then and said “OK Sean, here’s what we’re going to do…you’re going to start eating good and clean right now. Your fast food days are over starting right now. Your junk food habits end this minute. You’re done, I’m cleaning out your pantry and fridge. I’ll tell you what you can and can’t eat. Just trust me, you’re going to feel better than you ever have.” I’m not disagreeing with the dietary recommendations, I’m just saying---this kind of an approach was something I had tried before, and it was so unnatural to my bad habits at that time, I couldn’t adjust and I quickly fell back. I knew that this time my approach must be a natural evolution of good choices. That’s what I’ve meant by saying that the meaning of “Good Choices” changes over time. As I proceed, my choices become better, I become more educated about all the crud I shoved in for so long. I evolve, naturally and permanently. Sometimes “experts” and doctors fail to recognize this psychological dynamic. I’m not some kind of a weight loss genius, I’m not a doctor or expert. But like I’ve said many times---this weight loss journey you’re reading about has been wildly successful because I’ve analyzed my past failures and tweaked my approach to fix my behaviors and patterns. My “nothing is off limits” philosophy has been vital to my success, and especially applies early on a journey of someone like me, or…someone like I used to be. Forget every rule you thought was iron clad about losing weight. Admit to yourself that you don't know it all, because someone who knows it all can't learn effectively. Have you ever heard someone say “you can't change him, he's set in his ways.” Be open to a “new,” simple approach to weight loss that really isn't new at all. Wipe from your mind the idea that some foods are forbidden. Do some really deep internal self-counseling to discover your “motivating thoughts.” Why do you want to lose weight and feel great? Develop that list and defend it from your old habits at all cost. Realize that food is not the enemy, you have been your own worst enemy. Let go of any blame for your obesity that you have ever placed on someone or something. Admit that you are the one in charge of you. And since that is true, you're completely responsible for your habits, good and bad. Stop being the victim. Empower yourself to rise above your circumstances instead of allowing yourself to stay chained to them in a depressing existence. Here's a BIG one: Be 100% completely HONEST with yourself. Stop telling yourself lies. Lies come in the form of excuses and rationalizations. Be honest about them and you'll start to recognize them every time they pop out of your mouth or brain. Stop rationalizing bad choices. Defeat excuses at every turn. Stop thinking of all the reasons why you'll never be able to do this, instead think of all the wonderful reasons to do this and never give up. Don't “let yourself off the hook.” Don't say “I have time to do this later, I'll start next week, or next month, or after the holidays, or after we get past all of the birthdays coming up...right now, let's eat!” Maybe you don't have time. I let myself off the hook for over twenty years. If your transformation is important to you, don't let yourself off the hook. Understand that every action has a consequence, good or bad. Shoot for the good ones. When you're alone, that's when you have to police yourself extra. Almost every weight loss attempt in my past has ended with me binging alone. Don't let yourself down like that. Take pride in your resolve. Make sure to remind yourself that there isn't a food you can't enjoy at one time or another. You may not have the calories for that cheesecake today, but find a way to work it in sometime soon. Understand that it will get easier if you put forth a consistent positive effort. So there you go. And again, I sincerely thank the Tulsa World for a wonderful article and giving me a wonderful honor within their pages. It was a fantastic thing. I just had to clear up any misconceptions before someone took the wrong impression, thinking that I was on some crazy fast food diet. That couldn’t be further from reality. Today I eat more fruits, vegetables, lean meats, and whole grains in one day than I ever did in a whole week. I have evolved in a very natural progression of good choices and lost 234 pounds so far. I think there may be something to my “unconventional” approach. I've been thinking a lot lately about the future. And how the things we do and accomplish today drastically affects our future. It also works the other way...The things we don't do and we don't accomplish drastically affects our future. When I start adding up all of the positive life changing benefits of doing this, I'm amazed that it's taken me this long to come around. The mind is so powerful, it can hold us back forever, or it can set us free. But it will only set you free if you want freedom. Who doesn't want that? I mean, you have to fight for it every step of the way. One day at a time is all I can do, and sometimes that's really tough, because I'm kind of an impatient person. But I have to sit back and relax a little, I have to remind myself that my persistence plus time will equal an entirely better future for my whole family. It can hold us back forever, or it can set us free...wow---that's the truth huh? Day 500 and all of the success and good health I'm enjoying today is simply a result of a very natural simplistic approach, persistence, patient consistency, plus time. I'll no longer have the dreaded “calendar regret.” Had I derailed early on like so many other weight loss attempts in my past---today would have been met with a bunch of “could've beens.” It could have been nice had I stuck with that...The feeling I get when I realize that I don't have to ever say that again, well...it's indescribable my friend. I jumped up today feeling incredible! I actually dropped in bed at a relatively decent hour last night. I grabbed a solid seven hours sleep, some might say it's still not enough, but it made a wonderful difference for me today. I enjoyed an egg white omelet with mushrooms and some steel cut oats. It was a good hearty breakfast and all for 250 calories! Every single day starts with a good breakfast, it isn't an option, it's a requirement around here. My metabolism thanks me for the early morning fuel everyday. I was reading your blog and I got kinda concerned about something you said. About not letting this be just temporary but making it lifelong. I don't know if I am there yet. It seems like everytime there is a special occasion in my life I overeat. I don't overeat the way I used too but I still gain a lb or two. When will I get to where you are? I feel nervous now. My skin surgery is coming up on 2/24 and I have a trip to New York the week before that. I do NOT want to gain weight while on vacation. Any suggestions? Oh my friend, listen to me please: Don't have fear, but seriously evaluate your relationship with food. Understand that food is our friend, a friend that we no longer want to abuse. One of the things I had to learn quickly on this road involved taking the focus off of the food and placing it on the people and experiences around me. Learning to enjoy our wonderful experiences, like your vacation, without making food the thing we look forward to the most...is so wonderfully liberating. And my friend, you can and will get here. You've had tremendous success, you're a completely different person! It's never too late to adjust our attitudes and approach with food. How high is your importance level in social situations? Make it a life or death importance level and realize that there isn't a food on earth that you can't enjoy in a responsible way. Don't feel deprived, feel in control and confident, because you are understanding that food is your friend instead of the enemy. Shift your focus! New York provides many things worthy of your attention, it doesn't have to be all about the food! Have fun and enjoy the new you! I drove a friend to the OSU-Texas A&M basketball game tonight. I didn't go to the game, I visited family instead. The trip threw my schedule off a little, but I adjusted, and we're OK. I enjoyed a few beef tacos with mom for dinner. I love beef tacos, I do. For 163 calories, you just can't beat the flavor---and if you load them up with sauce and veggies, well...what's not to love? Three of them kept my meal at under 500 calories and it was a very satisfying meal! Helen---Thank you for posting the link in your comment. I decided to edit this post and add it! Click "newspaper view" to see what the actual article looked like in print. I started the day with what is quickly becoming a favorite breakfast item (and even dinner item sometimes) for me, steel cut oats! I prepare them the night before in the crock pot and refrigerate until morning. Google the wonderful benefits of steel cut oats and you'll see exactly why I've grown to like them, many call 'em a weight loss super-food! I call them an awesome breakfast! I've received a few messages lately about my slightly injured left arm. I'm happy to report it is getting better. First thing in the morning is sore and continued use seems to aggravate the tendons, but I'm making a conscious effort to decrease use---I'm seriously considering a sling. This arm situation is a good lesson in following directions and listening closely to a trainer about proper form in the weight room. I never want to feel this again! I'm really excited about so many things ahead on this journey. But you know what thrills me the most? When I receive an e-mail from someone who has read this blog and been inspired, someone whom I didn't even know was a regular reader. They hardly ever comment, just read and proceed. I love that! Received another one today: “Your blog is the first one I read when I had the idea to read some weight loss blogs as a motivational tool, and wanted you to know that you have been inspirational to me in my weight loss plan.” You know something, I receive many thanks from people for sharing this daily journey, and I appreciate that immensely...But I'm the one that should be thanking you. You inspire me to set an even better example. I had no idea the impact my little blog would have on me and others. It's just so wonderfully rewarding. This blog has made me really evaluate the differences between the failed attempt in 2004 and the present. The differences are pretty big. In 2004 I was just going through the motions I knew would work. I was still dreaming about pigging out on everything in sight. That's why I celebrated so heavily when I hit the 100 pound mark back then. I wasn't trying to learn anything about portions, and I certainly didn't try to dig deep in my brain for answers to why I became so big. I was simply counting the calories and exercising while I waited for my next big celebratory bowl of fried mushrooms and Hideaway pizza. That's what's different about this time. As I approach the 115 mark I totaled last time, I'm thinking about those differences more and more. I'm not obsessed with food like I was before. I'm more aware of my “triggers” and I refuse to let them be an excuse to eat. Before I was only concerned about getting the weight off, now I'm more concerned about developing the habits and behaviors that will keep it off as long as I live. It's been a real psychological adventure. If you've been a regular reader for some time, then you've been with me through the meltdowns, like the night I attacked cheese and crackers, even though I knew I didn't have any calories left for the day. You've read about my weakest days and my strongest days. I knew in order to do this I had to learn how to separate my emotions from my eating habits. And that's much easier to say than do. But making sure that my eating and exercise habits remain the same regardless of my mood, my stress level of any particular day, and any special plans is key to my success. And it's what makes this time a completely different journey. I took an extended lunch today. I enjoyed some soup and the most perfectly seasoned chicken breast I've ever cooked. I had some personal business to tend, plus a short nap, and then it was back to the studio for a late afternoon production session. I've become rather addicted to glancing at my reflection in the glass double doors of our studio building. I can't help it, is that really me? I just want to hug myself with happiness every time. I've decided that tonight I'd do things differently. I would blog, eat dinner, workout, and be in bed no later than 9:30pm. I've lost too much sleep lately, it just isn't healthy my friends---you know that already I'm sure. The lack of sleep habit must stop now! The importance level must be set on the same level I've applied to this weight loss mission. Lack of sleep is counterproductive along this road. I think a good nights sleep will make my arm feel even better. I need to heal, I must rejuvenate! As soon as I get the release date of that Tulsa World article I'll pass it along here. I'm really excited about that story. And thank you to the many friends who have contributed. A few have told me they were contacted and that's very cool. This was once one of my least favorite photos. It's now one of my best "before" shots. Daddy's girl! Recent "In-progress" face picture. Mondays are sometimes busy, but today made every other Monday in recent memory seem like a lazy Saturday. I hit the floor at 4am and didn't stop running until 11pm. Crazy schedule indeed. But, it's not typical and it was wonderful, so I'm very pleased. Sometimes things don't go as planned and we have to adjust. I planned on an egg white omelet this morning with mushrooms and mozzarella, but when I accidentally broke the yolk of my first two eggs, I just decided to have three whole scrambled eggs with mushrooms—minus the cheese. I would have preferred to do my regular morning warm-up workout, but since I'm still nursing this hurt left arm, I did the body weighted squats and the “out of bed” sit-ups only. I can come up with a never ending list of non-perfect, or not what we wanted, circumstances and happenings along this road---I don't have to dig too deep before I remind myself that perfection isn't our aim, it better not be or we're going to be severely disappointed! Learning to adjust my routines, habits, and expectations without feeling defeated or cheated, but proud and accomplished---is a vital element to my positive approach. I hit the road for Tulsa shortly after my show ended this morning. I forgot to pack a mid-morning snack, luckily I found a convenience store with fresh fruit and cheese, and my road “snacks” were good to go. I was driving to Tulsa for a photo shoot at the Tulsa World newspaper, a shoot for which I was well packed and prepared. I grabbed my size 64 waist jeans, the ones that were actually tight when I first bought them, now I can't believe I ever filled them out. I also grabbed my giant jacket that was really too big for me at 505, and now makes me look like I'm in one of those “Honey I Shrunk The Kids” movies. Oh, I wasn't done. I stressed over and over about what to wear. I wanted to look my best for this picture, so when I started to stress over clothing selection---I just grabbed three different things. I decided that I would just insist on changing a few times during the shoot, giving the powers that be a variety of options. I must trust they'll pick the best shots. Isn't it crazy how horribly insecure I am? Anything beats what I was before, so why do I feel the need to be critical now? I hope to someday reach a fitness level where it will not matter the angle of the shot or the way a shirt clings to my body. I'll like every one---just pick. I was met in the lobby of the historic Tulsa World headquarters by the journalist writing the story, he led me up to the newsroom and back to the photo studio. As we walked I inquired about his weight loss. That's right, the writer in charge of telling this story has some intimate understanding of our travels along this road because he too has been traveling. Matt has lost over 60 pounds and now checks in at under 160, the guy looks great---and you can tell he feels great by the way he carries himself all light on his feet. The fact that Matt has experienced weight issues really makes me feel good about this story. He totally gets this stuff. Matt introduced me to the photographer and left for lunch. The photographer was very nice and I think he was only slightly annoyed by my “costume” changes and repetitive question “do you want some shots without me holding up the pants? No? OK, that's fine...I was just thinking that...yeah, that's cool.” I like to be in total control of photos, but in this situation—forget it. They're professionals and they don't need me telling them which shots to use...but it drives me nuts not to be able to look. I trust it'll be a fantastic photo whatever shot they decide to use. It was a fun experience! On the drive over to Tulsa I decided to listen to my favorite motivating songs. Doing that gave me confidence, put me at ease, and fired me up! On the way from Tulsa to Stillwater afterward, I drove in silence trying to piece together my nearly cold call approach on the young man I've talked about recently. I say “nearly,” because he should remember me from a decade ago when his father would hire me to do stand-up and MC his company events. And he even listened every day to a morning show I did back then on another radio station. These are things my friend reminded me of about his son, and that helped ease my nerves. At least I wasn't a total stranger. I located the residence and then sit outside in my vehicle totally unsure and uncomfortable with what I was about to do. After nearly twenty minutes and a couple of phone calls to friends, I gathered the courage to knock on the front door. No answer. Hmmm...both vehicles were in the driveway. I returned to the vehicle and tried to call, no answer. I then called my friend who was able to reach someone else inside the home and they agreed to open the door, they simply didn't hear me knocking from where they were inside. What I found when that door opened wasn't what I expected at all. This young man looked relatively normal as far as weight was concerned. Maybe I had the wrong place. After I explained who I was, because he didn't recognize me at all, we had a seven minute conversation on his porch. I learned that he's already lost over 40 pounds and is “eating better, really well,” and seems to be doing better than his family had feared. He didn't want to invite me inside, and I didn't push the issue. That seven minute conversation may not have seemed significant at the time, but later my friend told me that's the longest anyone has talked to the young man in some time. The information I gathered concerning his well being was good, despite the short visit. It certainly wasn't what I expected and it didn't go anything like I had planned. But I felt good about the experience and I was relieved at the outcome. I visited with my mom, grandma, and Aunt Kelli before returning to Ponca City. 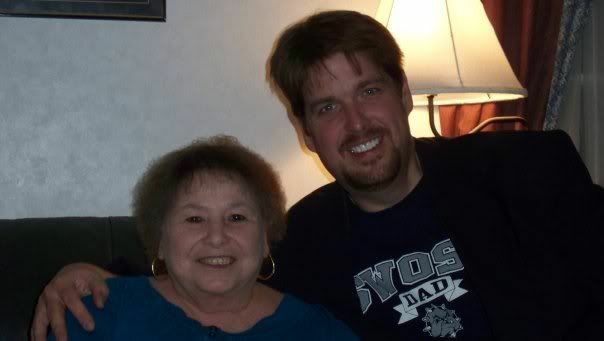 Grandma told me “don't you lose another pound, you here?” several times---I love her so much! And Kelli and my mother were both excited to discuss their weight loss pursuits. Kelli is closing in on a weight she hasn't had since she was 30 years old! And mom is as determined and focused as ever. She gets her walk in everyday and she gives her calorie budget special attention everyday. It's so wonderful to witness loved ones feel good about their journey. It's the greatest feeling when you see that look in their eye that says I can do this too, and you know it's true, they can. I headed back to Ponca City and home to prepare dinner, eat, and then head to the studio for some production work. I finally dropped in bed at 11pm. I was completely exhausted really, but also...I was completely happy about the day that made me that way. I love this sign! 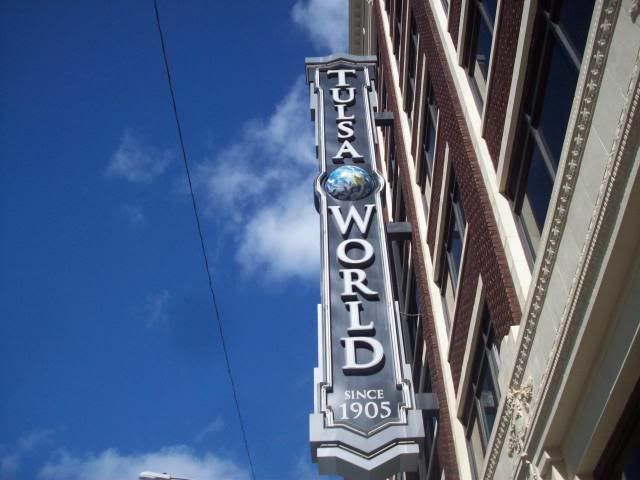 The Tulsa World was a newspaper before Oklahoma was even a state! I wasn't in the mood for breakfast this morning. What? But Sean, breakfast is something you don't ever miss right? That's right. But since it was close to lunch time when I hit the floor, I decided to eat a lunch type meal first. I grilled a chicken breast to absolute perfection on the Foreman and surrounded the thing with about four servings of green beans. I really need to go shopping. I could have fixed a rice type side dish, but I'm not big on rice or it's calories. I decided to hit the fitness room not long after lunch. It was a workout. Not the greatest in the world, but I was moving---and to be honest, some days I just feel like that. I'll forgive myself for not giving it a “Biggest Loser” style effort today. Who am I kidding? I've never given it that kind of effort. I'm thinking of buying Jillian's Shred DVD. I have friends that were just appalled at that last sentence, and others that would applaud. Here's the deal: In the last week I've had three different people, independent of each other, tell me what an amazing workout her DVD was for them. If I do buy one, I may need to take a DVD player to the fitness room downstairs because I'm not so sure my downstairs neighbor would appreciate me jumping and Jillian yelling. Does she yell on those DVD's? Hmmm...I might need that. A few months ago I was getting ready to head home one evening when I decided that instead of cooking, we would have McDonalds. I drove to the drive through and loaded up with nearly twenty bucks and 4500 calories worth of double cheeseburgers, Quarter Pounders with Cheese, a Filet-O-Fish with extra tarter sauce, and another bag dedicated to the fries. We were going large that night. I was nearly three blocks away from home when a motorcycle police officer pulled me over. He walked up to the passenger side window and stuck his head in right above all that food. I can't believe he didn't sneak a fry or two, they were right there in his face and the hypnotizing aroma filled the van. He told me that he was pulling me over because I wasn't wearing a seatbelt. I want to wear it, and I've tried to wear it, I've even given myself a charley horse in my side trying to buckle that thing, it just will not click. So I told him that I couldn't wear the seatbelt because it didn't fit...I went on to tell him that I was working on losing the weight (a lie at the time) and soon I would be able to click the seatbelt without giving myself a hernia in the attempt. He told me to wait right there, and he went back to his motorbike. I don't know what he was saying on his radio, but I can only imagine the story he told to his fellow officers about the guy who couldn't fit in the seatbelt... “then he said he was working on losing weight...the guy had 23 McDonalds bags in the front seat!”. It was real hard to keep a straight face when I told him that I was trying to lose weight while all the hot food right beside me was wafting in his face. He came back and told me that after considering the circumstances he would give me a warning this time, and that I needed to look into getting some seatbelt extenders. I guarantee he re-told that story when he got home... “you wouldn't believe the guy I pulled over today”. Before he walked away I really wanted to tell him that the food wasn't all for me. I didn't, I was too embarrassed to say anything but thank you. When I got home I told my family about the traffic stop, and despite the seriousness of not being able to fit in a seat belt, we couldn't help but laugh at that slice of comedy gold, then we ate everything in those 23 bags...actually it was only two bags. Day 26 and the beginning of another weekend is only hours away. Thank you for reading this blog, your feedback and support is sincerely appreciated. You can laugh, go ahead. That's one hilarious situation. Sure it's sad and very serious on many levels too, but sometimes you just have to laugh. I love to laugh. I need to remind myself to do that more. Don't we all? After my show tomorrow I'm headed to Tulsa for a photo shoot with the Tulsa World. I'm excited! On the way back home I'm stopping in Stillwater to talk to a gentleman about my story. The guys family hopes that my story might inspire him. It's risky, I know, and not something I would normally do...but I will do it for a really good friend who has never said no to me on anything. I can't say no to him now even though I fully understand that unless a person is ready to be inspired, ready to change, and accepting of their urgent need---they just might be offended and hurt instead of inspired and grateful. That's just a chance we'll take this time. I have the entire drive to Tulsa and back to get my carefully chosen words in order. And of course I'm not stopping in Stillwater without seeing my mom! Couldn't do it, wouldn't want to miss seeing her. She's so wonderful. I spoke with her earlier and she had just finished walking. She's a proud momma, and I'm I couldn't be more proud of her for the commitment she's made in losing weight and exercising. She's going to do this! I woke up this morning to the sound of my phone ringing. Dad was calling from his home in Alabama to catch up and offer encouragement. It's a very casual-comfortable relationship we have, a wonderfully refreshing exchange for a troubled past. If we don't talk for weeks on end, it's just fine. We're not constantly trying to reassure each other that we care. We have a very basic understanding for each other and we both walk with confident patience. I enjoy our relationship immensely. It's a father-son love that's completely devoid of past animosities and future expectations. When I say we wiped the slate clean and started over, that's exactly what we did. It was a requirement for my emotional development along this journey. In these travels I've learned that real forgiveness can set you free, and I'm not just talking about a father/son relationship. By the way, Dad is hanging in there---doing remarkable actually, and we're both looking forward to spending some time together later this year. Wait a second, let's back up. If I'm not just talking about a father/son relationship, then to what am I referring? Self-forgiveness. Yeah...wow, that's a big one. I've talked before about how important self-honesty is to this journey. Without it, it can't work. We have to be honest with ourselves about our behaviors with food and the resulting obesity---and honest about how those behaviors changed, limited, and imprisoned our lives. But quickly after this self-honesty trip, I had to embrace self-forgiveness. It was the obvious next step in recovering life. Forgiving myself for a lifetime of morbid obesity wasn't easy. The toll I took on my body, the worry I created for my loved ones, the strained and often complete lack of intimacy with my wife, the perfect recipe for morbid obesity that I so carelessly taught my children, the selfish self-centered wallow amid a pile of bad habits that I pretended didn't exist---this isn't the fun part, but I believe it's critical to my long-term success. I've heard it said by many that you can't love completely without first loving yourself. It's so true my friend. And that love blossoms with self-honesty, forgiveness, and if you really want it, sweet redemption. Imagine a love that's free of the past and gazing at the future with a confident clarity. It's a powerful force that can propel you to your goals. It's passion. My workout today was inspired. My consumption was as rock solid as ever. My focused determination along this road is dependent on the importance level I've set for each facet. Obviously those importance levels are not all equal, if they were I'd be getting eight hours of sleep a night, I'd be completely organized, and I'd look like a body builder. You can bet I'll arrive at those places for sure. I do know this: Losing weight is 80% mental and 20% food and exercise. This morning found my arm feeling much better. I can tell that if I just give it a rest, I'll be 100% with it in no time. I didn't do my morning warm up workout this morning, I just didn't give myself enough time. Putting my sleep and workout schedule at the top of my priority list is a much needed improvement that will be made. It's about getting into the same frame of mind from early on this road, when I just didn't allow missed anything. I've talked many times about why that consistency and resolve can change with success. It doesn't seem as urgent. But it's needed even more now in order to achieve what we've always wanted. I'm making some wonderful choices these days in the food department. It's an effort, but not too much really. I'm in complete control of what I put in my body for the first time in my life. After being out of control for so many years, it feels wonderfully peaceful to not struggle in that department. I still love food, and I enjoy food, but the urges to abuse food like before...well, I can't say they're completely gone, but almost. It's probably foolish to think they'll ever be completely gone. I'll never forget the day I had that twelve minute phone conversation with Richard Simmons. I mentioned “lusting over food,” and what he said to me was shocking. He admitted that he still occasionally “lusts” over food. “Don't we all?” he asked. Richard Simmons too? We're not alone! You mean I'm normal when I have that desire to devour an entire bowl of mac and cheese? Or when I walk down the ice cream section at the store and lovingly gaze at all the wonderful flavors? Or when I call in an order for a pizza, only to cancel minutes later because I know I can only “afford” one piece, and I'm somewhat afraid of the temptation? It's normal? Food taste good. But really, there isn't a food I can't enjoy if I want...I just can't allow a gorge-fest like so many times before. I think of that conversation with Richard every time I feel tempted, and it comforts me to know I'm normal. It's even more comforting to know that I can identify and stop my food fantasies before they lead me back to somewhere I've left behind, somewhere I refuse to ever visit again. I had world famous Boogie Woogie pianist Sylvan Zingg on my show this morning. He's from Switzerland. His smile and energy is infectious—so, I couldn't help but be in a great mood. He's performing downtown tomorrow night (Saturday) at the Poncan Theatre. If you're in the area, I highly recommend you attend this show! He brought over some real Swiss chocolate too. Oh, Sylvan---why? I initially said “no thank you,” because the nutrition facts were printed in a language I couldn't understand. But then I thought, how often does a world-famous celebrity from Switzerland come into my studio with Swiss chocolate he brought over in his carry-on bag? Gayle talked me into having a bite, and trust me, she didn't have to try very hard. It was amazing! And the flavor lingered in my mouth for several minutes after. It was some of the best chocolate I've ever experienced. Yes, it was an experience. I hung out with friends tonight and as usual, I was the DD. Something happened while we were out that I want to tell you about, but I hesitate to share it because I don't want to sound conceited. If you know me well enough (just being a long time reader qualifies you), you know I'm not. So I'll share. I was standing up against a railing just people watching, when this woman walks by and smiles. I returned the smile, because I'm just nice like that. Out of the corner of my eye, I noticed she turned her head around and looked at me again. She's flirting with me, I thought. But I quickly let that thought pass, people don't flirt with me! About ten minutes later this complete stranger walks right up to me and says “I just want to tell you that you're really good looking.” After looking to my right and left, then behind, I smiled again (and probably blushed) and said “Me? Oh, well...thank you!” Had she known about my transformation, I probably would have discounted it as she's just being nice. But this was a very attractive stranger. As far as she knows, I've never been morbidly obese. It felt good, but slightly uncomfortable. I'm not use to that kind of thing. I've always felt like the biggest, most undesirable person in the room...and making my brain accept otherwise is a serious challenge. I was naturally high from that experience the rest of the evening. On the way home, a friend suggested we stop at the convenience store for some fried deli food. Oh boy...the only thing I would even consider from that cabinet, and only if I'm desperate, is a 150 calorie egg roll. I followed him inside and after taking one look, politely declined the offer of “whatever you want.” There was a time that I would have taken full advantage of that offer. Years ago in my hometown, I knew exactly when to show up at the convenience store late at night, right before they threw that deep fried stuff away, and I would bargain with the clerk. I once “scored” an entire grocery sack full of deep fried burritos, corn dogs, fried okra, egg rolls, and pizza pockets for two bucks. Two bucks! What a bargain! Of course the cost to my body and mind was much greater, but I didn't care. I was a food addict on the hunt for a fix, and I hit the mother-load on several occasions. Not tonight, no---not anymore. I decided to wait until I arrived home to prepare a mushroom and chicken omelet. I did, and it was good, real good. I didn't workout tonight. I'm not happy about that at all. My arm is hurting horribly, but that's no excuse really. A friend of mine told me that a day of rest is not a bad thing. I know they're right. But you know what I mean. I spent too much time out soaking up life and casual compliments, and time flies when you're doing that stuff! It was late, real late. I was hungry and tired. It's OK I guess, as long as it doesn't become a regular habit---the not working out part, not the soaking up life and compliments part—-No, that can keep coming. Isn't this road we're on about living like we never knew possible? Yeah, it's sweet. 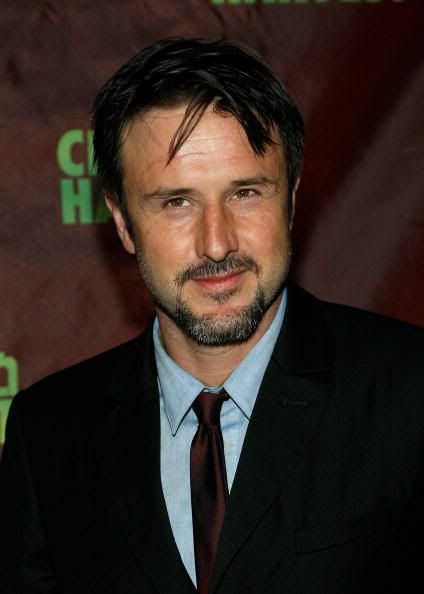 David Arquette. Alrighty then---I don't see it, but I appreciate the compliment. Thursday is my training session morning. That means the alarm sounds before 3:30am, which is fine, except I couldn’t sleep last night for various reasons. Too much on my mind I guess, good and not as good. Plus my left arm injury was horribly painful this morning. What am I getting at here? I had to cancel this mornings session with Melissa. I hated to do it, I did, but with less than three hours sleep and what appears to be tendonitis in my left elbow---it just wasn’t happening. Melissa was awesome, promising to call me later and offer some advice for the arm situation. She did call and we talked about what I could do to help speed the healing process, the possibility of seeing a doctor, and what I could easily do in the workout department without further aggravating the blasted thing. I’ve been super lucky to have gone this long without any kind of injury. I remember when I started walking in the beginning at 505, I didn’t fear an injury---it was sudden death that consumed my worried brain. So I took it easy and did what I could. I walked slowly, waddled really, just anything considered moving, and I did it everyday without fail. Now I can do things I couldn’t even have imagined back then, 5K’s on a regular basis and I even survived a 10K walk/jog. Still, I’m careful, always scared of over doing it and dropping over. I seriously need to get over this fear. It was a valid fear at one time, now it’s completely unlikely and irrational, and perhaps even somewhat of an excuse to go easy on myself. Part of my smile after that 10K was because of the relief that came with survival. I haven’t talked too much about this irrational fear, but it is a real thing, and something that I will overcome. I’m overcoming everything else, so why not? I enjoyed three whole eggs over easy this morning. No cheese on my eggs, no---I only do that with the egg white omelets. The whole eggs checked in at 210 calories and I added a ½ cup of steel cut oats with ½ a banana. Total breakfast calories: 345. I can do that, no problem. I might even boost that up a little more. I didn’t realize how accustomed I was to eating 1500 calories. My choices and routine pace always marched right along in perfect harmony with 1500 calories. Upping the calories to 1800 has given me room to eat that bigger breakfast and perhaps an extra snack sometime during the day. I even lost three pounds during the first two week period of 1800 per day, and considering the slow down I’ve experienced---this was welcomed news! I’ll admit something to you: Even though I know that adding calories can actually help give the metabolism the boost it needs to burn even more fat, it was and is still hard to accept. Natural instincts tell us to cut the calories. Isn’t it a nice thing to be told you have to eat more? I received an e-mail message today from a good friend requesting that I talk with one of his loved ones about my story in hopes that it might spark something in him to change. 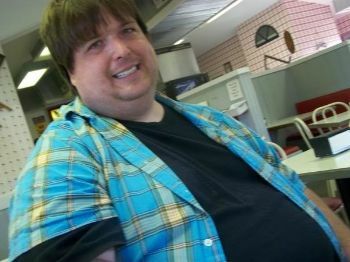 To cold call somebody on his or her dangerous weight and food issues is something I’ve learned is a generally bad idea. But this loved one of my friend seems to be in a critical state, and according to his family---in need of an intervention of some kind. I normally wouldn’t even consider attempting something like this, but this friend of mine has been a huge supporter of me for many years, mainly during my stand-up comedy days. I owe it to him to at least try my best to make positive contact with this individual. I will be doing this in the next day or two. I’m really nervous and concerned, but it will be fine. I’ll treat him with respect and compassion. He’ll sense my genuine passion for this journey---and maybe, just maybe it will make the difference my friend is hoping it will. It reminds me of how I use to worry my family. My mom would call in the middle of the night just to ask me when I was going to “get serious” about my critical weight situation. My obesity has killed me numerous times in mom’s nightmares. It’s good not to worry her anymore. It’s one of the most wonderful things about this entire transformation. Mom still worries, she always will about something, but it’s not my weight that keeps her up at night these days. I’m such a mommas boy, and you know what? That’s fine by me. She’s an amazing woman and I love her dearly. Yesterday I decided to workout instead of nap. Today I napped. I didn’t have a choice. I shorted myself horribly last night. After not napping yesterday, in order to go to bed earlier last night, I was unable to clear my head long enough to fall asleep. I was on fumes today and as soon as I had the chance, I dropped. I meant to sleep an hour and a half---yeah right, you know me…three hours later I awoke and realized that I had just wrecked my schedule a tad bit more. I prepared a wonderful dinner tonight---turkey breast, mashed potatoes with gravy, yes gravy—green beans, sliced tomatoes, and the other half of that breakfast banana. It was a balanced meal and full of great taste. I had two apples at work today, bringing my fruit and vegetable count to 7 servings. I may not be a clean eater, but I’m learning all about evolving choices. I’m progressing nicely in the right direction. I have zero desire to ever be perfect, I’m too laid back and imperfect for that pursuit, but I’m starting to really get excited about eating good wholesome food. Day 494 Sean and Day 1 Sean are two different people with different requirements and abilities. What do I mean by that? It’s simple really. My “nothing is off limits” approach was the only way for me at the start of this road. I believe it was for me and is a critical element to success for anyone trying to lose weight and change a lifetime of bad food habits. I knew that if I tried to change them all overnight, I was setting myself up for another failed attempt or temporary success at best. It was important for me to start with the simplest approach possible. I was considering my mental development, avoiding feelings of deprivation, and having a blast enjoying my favorites in responsible portions while dropping over thirty years of accumulated fat. Along the way I promised myself to eventually explore and remain open to better choices. I’ve ended every single blog from Day 1 with “good choices” for a reason. It doesn’t mean perfect choices. It simply means good choices. And good choices are different for each individual at different times along this road. Good choices for Day 1 Sean meant simply limiting my calories to 1500, regardless of content. Good choices for Day 494 Sean means trying to eat better all the way around. I’ve dealt with the internal issues that have promoted my food addiction for years. I’ve accepted responsibility for my obesity and choices of change. I explore this examination now because I’ve had a large number of brand new readers lately that e-mail me questions regarding food choices as they start their individual journeys. I hope this paragraph clearly explains my position on the topic. I did my squats, some kicks, three sets of sit ups, and walked two miles on the treadmill tonight. I’m not even going to say how late it was when all of this went down, my nap scrambled my schedule tonight—but I had to have that nap. OK—it was midnight. I know, horrible, just crazy really. Today was one of those days. It was really good. Usually when I start with “today was one of those days,” it's bad, but no—today was nice. I want to thank some of my blogger friends for awarding me some fantastic blogger awards. Helen, Rach at Onewhocares, and Ann H are the latest in the blogging community to honor me with such a thing. It feels really good to be recognized, it does. You know me---I'm not good with award rules. I'm already an open book in my daily writings, so I can't imagine mentioning anything that a regular reader (especially one who's read 'em all) doesn't already know. And the passing the award on part---well, the last time I did this, it just killed me leaving some people out. I have too many blogging friends to pick just ten, or even twenty---I want to include them all! I hope you don't think I'm being a poor sport or an ungracious recipient. I sincerely thank you for the support! I increased my breakfast today. I enjoyed an egg white omelet with green bell pepper chunks and American cheese and a serving of steel cut oats. It was very nice! This is part of my effort to readjust my “calorie pace” for consuming 1800 calories, instead of 1500 like I've done for so long. I'd rather eat more earlier than try to load up late in the evening just for the sake of hitting 1800. I know it irritates some when I talk about “having trouble” getting all of my calories consumed. Trust me---it's a problem that's completely foreign to me too. I'm so comfortable with my calorie pace and every three to four hour eating routine, but unfortunately---so is my body. I haven't thrown it a curve ball in a very long time. My body has adjusted to this, has for some time, and I know it's contributed to my significant weight loss slow down the last several months. I had to smile when I read 45+ and aspiring's comment on yesterday's post: Sean, I have to say that I find it stunning (and I love ya buddy, but also a bit annoying) that you can have so many calories at the end of the day. I just can't imagine not getting hungry or at least being in situations and times where others are eating--that "time to eat" thing. I understand and appreciate your perspective my friend! Adding more calories throughout the day and starting with breakfast will certainly help me avoid this 'calorie pace' issue. Today was weigh day. I've added calories and I've stepped up my workouts with strength training exercises. I've almost cut out eating out the last two weeks too. If ever I thought I would see a five pound loss again---it was today. But instead, I grabbed a three pound loss. That's good, that's awesome really—no complaints here. It's still going down. But, I know as I progress in the weight training arena---I'm going to have to reinvent my measuring stick. I honestly feel like I can go down further before this re-shaping and building starts effecting me with “good” weight gain. This loss brings my total pounds lost mark to 234. My current weight: 271. That's really cool. I love it! The interview with the Tulsa World newspaper reporter was good. It'll be interesting to read how he fashions the story from our conversation and the archives of this blog. When the story is released, I'll be sure to provide a link to their site. I'll still pick up some hard copies at the news stand, but I'm sure it will also be a part of their online content. My left arm is really hurting. It's effecting my workout tremendously. I've talked with friends who know all about this kind of stuff, and I consulted with Melissa Walden too. Everyone agrees ice and letting it rest is the best move right now. If the pain persist, I may need to see the doctor. I must pay close attention when I'm being taught about proper form. This elbow injury is minor, I'm sure, but also completely avoidable with proper form. I was just in a hurry and tried to do too much while training alone. That'll teach me! I need to pay closer attention! I prepared some beef fajitas tonight---using a whole wheat wrap to roll it up. I added some onions and green pepper too. It was fabulous! Courtney is with mom tonight, so I'm solo again. I'm starting to adjust to this part of my journey. Thank you to all of my wonderful friends for helping me in this regard. I usually grab a nap in the late afternoon-early evening. A friend of mine suggested working out instead and then going to bed at a decent hour. I still dropped onto the pillow later than I should have—but I didn't nap. I know this will be a vital element in getting my sleep schedule in proper order. My strong point over the last 492 days has been staying within my calorie budget. I starting treating my calories like cash from Day 1. It was my daily allotment from the “Calorie Bank and Trust,” mine to spend however I wish. When the calories are gone, they're gone. This bank doesn't have an ATM anywhere, so I seriously have to budget those allotted dollars, uh--calories, so they'll last me all day and evening. This mental game has been very effective for me. I should have developed something similar along the lines of weight training---But there I go again, expressing regret over where I could have been physically had I only started weight training sooner. Am I ever satisfied? Well, yes and no. Yes, I'm happy that I weigh less now than what I did as a fifteen year old. And no, because I know the potential that lies within this frame holds the key to the most dramatic transformation possible. I try not to waste too much time obsessing on coulda, shoulda, woulda's, there's nothing positive in that way of thinking. But I share these feelings anyway, because I know that someday someone might be starting their own similar journey, and they may read. My hope is that they don't do what I did, they do it better—improve upon what we've accomplished, and realize that weight training is a vital component to our overall goal, something that should be incorporated from an early stage. What matters for me now is this: I'm doing it. I'll catch up, I'm fine. I feel great. And the real exciting part about this transformation? It's far from over. I started the morning with my “mini-workout” in the living room floor. I rushed through, only 15 minutes worth today, but it was a good start to what would be a challenging Tuesday. I enjoyed steel cut oats for breakfast, then packed a banana and an apple for the trip to work. My day was interrupted with some unexpected family issues that completely and understandably disrupted my groove. By the time 7:30pm rolled around I was sitting at a low 575 calories for the day, total---and no additional workout, yet. I prepared a strange dinner, but it was good. I resisted the temptation to “just grab something,” opting instead for a big grilled chicken breast and a healthy portion of steel cut oats with banana slices—both prepared at home. It was flat out stick to your ribs kind of food, which is fine, as long as it doesn’t attach itself to my rear-end, we’re good. I was still short on my calorie budget today. Dinner only took me to 1100, then two hours later I bumped it to 1450 with a three whole egg omelet with extra cheese. I don’t like eating for the sake of pushing my calories up, and since it was getting horribly late, and I still hadn’t workout out…I fell short of my intended goal of 1800. I must adjust my approach during the morning and day. I need to time my calories and hit certain calorie levels earlier, so I’m not scrambling to get the calories in my body late in the evening. Thank you for the wonderful suggestions on this topic! The workout tonight was late and severely rushed. I really let the circumstances of the day effect my schedule in a really bad way. I know I’ve done it way too much, but considering what time I have to get up during the week, I have no business working out at 11:30pm. That’s crazy. Tomorrow is weigh day! Plus tomorrow afternoon I’ll be talking to that reporter from the Tulsa World, wish me luck for a good one on both of these events. It’ll be a great day, I just know it will! I’m anxious to see what two weeks of an elevated workout schedule and increased calories will do for me on the scale. I can’t wait to report my results. I’m still holding on to that number going down. I have more fat to lose---I mean, take a close look my friend, yeah…we have work to do. It will be strange to arrive at the point where I’m actually wanting the scale to move the other way, a result of muscle gain. I still want the scale to go down from fat loss, but we’re not far from that magical point where gains are celebrated with measurements and healthy strength and definition. We’re excitingly close to that point. Mondays are either really slow or really busy, there's usually no in between around here. Today was busy. I started the day with squats, push ups, and sit ups---enjoyed breakfast, a couple of whole eggs and a banana...and started drinking coffee. I was ready to roll! I can handle this pre-work exercise. It's not the only workout of the day, just a warm-up to my day. And seriously, it's only about twenty minutes, not a big deal. I should have started doing this a while back! I guess I've always had to “go” workout...to the trail, or the YMCA, and now the fitness room downstairs. Rarely would I stay in the house to workout, except for Sweatin' To The Oldies, but Melissa has shown me brutal exercises---and by “brutal,” I mean good—that do not even require me to put on shoes. Where was I? Oh yeah...Busy Monday. I powered through and did some good work. I was proud of our team today. We made some good radio indeed. I honestly didn't feel like it, but we rose to the occasion anyway. It's the same when we struggle to get that exercise done. I can't tell you how many times I just haven't been in the mood to workout, but did anyway—and felt great because of the effort. I haven't been perfect, many times I've postponed or just flat out skipped working out, but there's never really a good reason. Working out in some form or fashion can only be a positive thing. It's a mood changer, lifter...those endorphins are powerful little things! I've been thinking today about those friends that I know are struggling these days. They're struggling with their journey, and some are slowly losing their grip—others have completely lost their grip. And I really want to reach out to each one and explain to them that I understand. The struggle of being over 500 pounds for so long, with all of the ill effects of such enormous weight, wasn't enough to motivate me to change for nearly two decades. And just when I thought I was really changing, I'd slowly let it slip away---back into my 500 pound existence. I did that over and over until 491 days ago. So what changed? I knew that this pattern would eventually leave me without any options, only an early death. After analyzing my self-destructive weight loss patterns, I realized that I never made it important enough. I never gave it the importance level it deserved. It was way too easy to rationalize bad choices with a really low importance level. Oh, it was life or death, but I never treated it that way until this time. Why didn't I? Because I don't like dramatics. I'm easy...hey, it's no big deal, right? YES, it is a very big deal. I've been called fanatical and obsessive about my calorie budget many times, but you know what else they can call me? Successful. If looking at my calorie budget like a life or death limit is considered fanatical and obsessive, then fine by me. I failed every other time because I wasn't. I was easy---I was full of excuses and rationalizations for why I couldn't or shouldn't stick to my plan. If you want success, you really have to be willing to get seriously dramatic with yourself and even a little fanatical and obsessive. This is too important. And guys, come on---this is no time to have a macho attitude. Let's get real and make this happen. It'll set you free. I've written better blogs about this topic before. If you're struggling or not, I invite you to read the archives. It's by no means perfect---but I promise you this...the “iron clad decision” and “steel curtain zone” is a constant theme. Make that iron clad decision to lose the weight once and for all---and then defend that decision with a steel curtain zone against any emotion, circumstance, person, place, or thing that you feel is threatening. Your biggest threat is you. That's right, you're sleeping with the enemy. But when you become committed to this journey in every way, and that steel curtain zone is activated, you become a wonderful ally to yourself. Success along the way motivates for even greater results—and soon, you're on day 491. 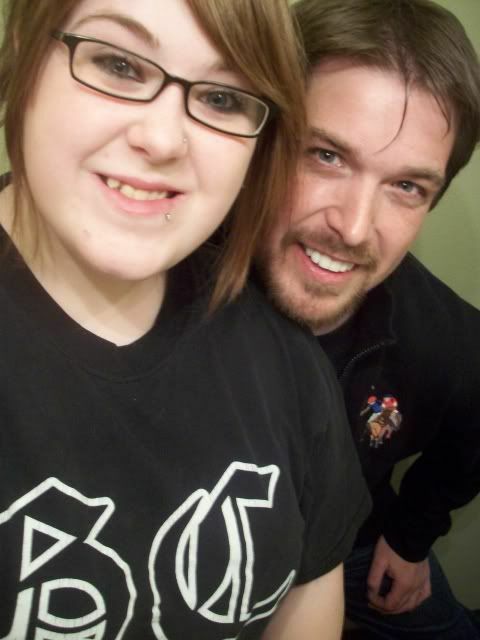 Amber travels back to school in the morning and I know that she's going back with a renewed resolve about her. It doesn't take long in talking to her about her weight for her emotions to show in a raw fashion. Look what I've helped create. Through my horrible example all of these years, I've created another me. She has many identical experiences that I endured as a fat child, the painful ones—and she's stopping it right now. This is it. She's going to break free at 20 years old, not 37 and 38 like her dad is doing. Twenty years old. Her future kids will never know her as a morbidly obese person. This is the only thought that makes me feel better. This cycle of obesity ends right here and right now. I’m excited to be where I am physically. I look in the mirror and sometimes it’s like looking at a stranger. I wonder if my brain will ever catch up with my body and accept that I’m smaller now? That’s a really good question. Today was filled with writing, planning, cleaning, and preparing. I stayed busy, because when I don’t, that’s when it can get tough. I have many different personal issues crowding in on me these days and it’s sometimes difficult to shield my mission from the emotions that always derailed me before. But I’m doing it. I’ve said from the very beginning, “no emotion, no circumstance, person, place, or thing will steal this away from me.” They can’t. I refuse to let go. It was so easy to let go in the past because I really had a desire to do it anyway, then the first excuse that came along…I’d jump on it. That’s the big difference these days. I don’t have the desire to let go, in fact, it’s exactly the opposite. Now that I’ve experienced significant weight loss, I wouldn’t trade it for all the ice cream in the world. I enjoyed a movie with Amber this afternoon, with the understanding that we would go workout together afterward, and then we fell asleep. By the time we woke up, it was time for Amber to travel over to her mom’s house for their evening plans. I was left to workout solo again tonight. This time I stayed in the apartment. I’ve decided that there is no reason that I can’t do some of these movements inside and before work of a morning. I love the way I feel after doing them---and it always makes me have a better day, so enough said. Let’s do it! I’m making this a short post today. The one thing I’m taking from today? I’m staying positive, I’m staying on track, and I will get where I’m headed. These challenges we face, they’re not different than any number of people face everyday. We have many issues in common with many people. The difference is in how each person handles the circumstances and emotions. I’m in the home stretch my friend. As I approach the “finish line,” that imaginary line isn’t well defined. Is it 230? Or is that too small considering my body fat percentage of 16.5%? So do I stop measuring my success by pounds lost? I have fat to lose, no question. But if weight training adds muscle and that adds good pounds---then at a point I may have to find another way of measuring my success. I’ve pretty much decided that I will not worry about all of those details. I’ll do as Melissa says---weight train and 1800 calories with cardio mixed in too. I will not let the scale make or break how I feel about my success. That’s ridiculous, but it’s all I’ve known so far. I have many friends that are on this weight loss road. Just as I send out my weigh day updates, they too send me their weigh-in results. I started my Saturday morning by finding an e-mail from someone I didn't know was reading this blog until just a few weeks ago. Turns out she's been reading for some time, and when she started she went back in the archives and read every single entry. I don't have any way of knowing who's reading and what they've read, let alone what they're getting out of these writings. I just share what I'm experiencing—put it out there in a raw and honest form, and I learn about myself in the process. Sean, I weighed today and I'm down another five pounds! I just stepped on the scale and started crying because it's never worked for me. I'm so happy. For the first time in my life I'm losing weight (47 pounds so far---over 100 to go). Thank you for showing me that it doesn't have to be hard. I read you everyday and more often than not, your blog hits me right between the eyes. I've even had my husband read your blog and he's starting to understand that he could do this too. I know you've told me that it's all me doing this, and I understand what you're saying, but I hope you know what an inspiration you've been . I started reading from day one and couldn't stop. Thank you for sharing your story. ---Bobbi and David in New York. Bobbi, I know you reluctantly gave me permission to print that, but your success inspires others too. Your transformation continues to be and will always be something that deserves your pride. And oh by the way---it's all you! Your e-mail this morning gave me strength and inspiration. Thank you! When I'm not feeling 100%, I just have to read e-mails and comments like that—-and it makes me realize how important it is to power through emotions and circumstances with unbreakable resolve. I've really had to put up my steel curtain zone a bunch lately. The stress and emotion that I'm experiencing of late is trying it's best to break me. Not smoking makes me feel incredible, but I've just now noticed how much I relied on those nasty things to calm my nerves and help me cope. I can't give in, I can't give up---I'm a non-smoker, I'm a non-smoker. I have to continuously say that. Quitting smoking, in my opinion, is ten times harder than what I've done with weight loss. I can eat food in a healthy and responsible way, I can't smoke in a healthy and responsible way. They're different animals for sure—-but the mental power to stay focused is identical to this weight loss road—I mustn't forget. I started the day preparing omelets for everybody. I love making them and everyone loves eating them, well, most everyone. The calorie value is so wonderful in an egg white omelet, it's a hard habit to not over do. I must make an effort to eat more steel cut oats of a morning! Out of ten days, I probably eat the oats once or twice. I'm a creature of habit I guess. Aren't we all? I spent fifty calories on gum today and over a hundred on coffee creamer. Hmmm. I even enjoyed a half a cup of natural orange juice. The juice was really sweet and good, I wish it wasn't so calorie dense. But it's good for me right? I know it is, so I'm cool with that. And since Melissa upped my calorie to 1800, I have a little more room for this kind of thing. I have struggled a few days to hit the 1800. I was so comfortable with my 1500 calorie pace, I sometimes find myself hunting for more calories late. That may not be what Melissa intended me to do. I need to watch that. I need to add those extra calories throughout the day, preferably an hour after a good workout, maybe some right before. I must make sure this extra “fuel” is being used most efficiently. My sleep schedule has always been in need of improvement. It's always been an issue along this road...and it remains. We don't have to re-hash how important proper rest is to this journey---it's understood. The body needs rest to renew itself. The body needs rest to run at optimum levels and work as efficiently as possible. I get that. I do. But still I struggle with that element. You know what it is don't you? It's self-discipline. If I applied the same level of importance to my sleep schedule as I do my calorie budget---we wouldn't be talking about this issue. Importance level...where is my importance level on sleep? Obviously not high enough. I continue to work on that. My workout today was good. Not great. I planned on doing it with Amber, but our schedules just didn't mesh. Amber is awesome and I can't wait to show her what I've learned in the strength training exercise department. I love how a good non-cardio workout still gets the heart to pumping. Working the muscles still gets me pumped and my heart working, it's very noticeable. I've had to lay off some things temporarily because I hurt my elbow of my left arm. I don't know if I hyper-extended it or what, but it has really hurt the last few days. I'm happy to report it's feeling so much better now. Melissa showed me proper technique/form to make sure I don't do that again! I'm such a novice in the strength training arena and that stuff can be dangerous. My advice? Listen to people that know better and follow their instructions!! That's what I'm doing. Compared to yesterday morning, this mornings rise at 4:10am would be considered sleeping late. I jumped up with plenty to accomplish before I found the seat behind the microphone at 6am. I wanted a workout enjoyed and a blog page written, oh---and a shower, breakfast, and getting dressed. Oh my...maybe I should have jumped up earlier! I was able to get it done with about five minutes to spare. I cut it a little too close today. But I really like working out before work. It energizes me like crazy! It sets the tone for a wonderful day. It wasn't the longest workout but it was concentrated and good. I'm really digging the sit ups. I never thought I'd say that, but really...those things kill my abs---I love it! I just love that I can actually feel abs under there!! That's really thrilling for me. A friend asked a question that I've been asked many times by many people, usually by someone who has also lost a considerable amount of weight. The question? Do you ever fear going back? Gaining it all back? My simple answer is: NO. Melissa Walden told me a long time ago, after a “Lose To Win” seminar, “you know too much to ever go back!” And it really made sense to me. I've made peace with food. I've accepted that food is my friend—not my enemy. Food is a friend that I don't want to abuse any longer. Because when you start abusing a friend, eventually they're not a friend anymore. I'm not perfect, I don't “eat clean” by any stretch of the imagination. My issues with overeating have been resolved and right now that's more important to me than anything. Could my choices improve? Of course! Are you kidding? But from where I came, everything has improved, and now that I have a taste of this freedom---I'm never going back. I don't know everything, but I do know enough to know that I can confidently move forward without fear of losing this freedom. I'll make my life all about sharing this journey to freedom---and that positive message will constantly remind me of where I've been and where I'm headed. No, I'm never going back. Understand that it will get easier. But only if you put forth a consistent positive effort. I'm sure there are plenty more spread throughout this journey. Go back and read from Day 1. Remember, I'm not an expert. I'm just a guy who's been through this stuff my entire life. I was over 500 pounds for the majority of my adult life, until 232 days ago. These things I share are simply breakthrough thoughts and principles I've discovered along the way. If you're skeptical, then hide and watch what I do. Trust me, this is only the beginning of this journey for me. If you stopped reading this blog today and then come back in a few months, you will find me below 300 for the first time since age 16. The most important advice I can give anyone is: Don't make it complicated. Keep it simple! Calories in vs. Calories out. Later you can get more advanced if you want. And eat for goodness sakes. You have to provide your metabolism with fuel my friend. You have to eat and exercise. After a really busy day at work---I was ready for a quick nap before heading out with friends for a night on the town. I'm the designated driver in these situations---a role I feel really good about. I don't drink, except rarely in social situations, but even then---I'm very conscious of the calories in my drinks. We didn't get back until really late and then I visited with Amber into the morning. Before I went to sleep, I laid there and enjoyed my thoughts about many wonderful things. There's so much to be excited about in the coming weeks and months. Opportunities not even remotely possible had this journey never started. I'm ready to fly my friend--and so are many of my friends. Seriously, I can't help but be optimistic about what the future holds---and it's really fun to dream about. It'll be even better doing it. The alarm sounded at 3am. This isn't natural I thought. My natural inclination is to be going to bed at this time! Although I highly discourage it's use, I did employ the snooze alarm twice for an additional eighteen minutes. This is so dangerous really. Something about the extra nine minutes of a snooze can put us in a deeper sleep than before. Every time I oversleep, it's because of this deeper sleep-snooze phenomena. I took my chances this morning and somehow made it up for a very early Thursday start. I immediately put on the coffee and jumped in the shower, got dressed and started thinking about breakfast. I prepared a four egg white omelet with mushrooms, green pepper, and half the cheese I normally use. I normally use an ounce of mozzarella---I'm slowly trying to ween myself from this cheese dependency issue. It's not really a problem, but I've noticed that I still enjoy an omelet with less just as much as I do with more, so why not save the calories? Like ridding my green beans of their melty companion, it's these little changes that I'm doing to chip away at older food habits. If I don't try to change some of these habits slowly and naturally---then I'm not evolving like I really want. It's not self-imposed deprivation, it's trying to fine tune some habits. These habits are not “make or break,” just little improvements in me that make me proud. I'm sure the fact that I've stopped putting cheese on my green beans is spreading through my close friends and family like a tale not to be believed. But he always puts cheese on his green beans! Are you serious? I'll have to see it for myself! And I'll have to invite you over for dinner sometime soon. After my early rise, shower, coffee, breakfast, and writing yesterday's edition of this blog, it was time to meet with Melissa Walden for my 4:45am training session. I fully expected to be doing the same workout from last Thursday morning. Uh, no. After a quick warm-up on the treadmill, Melissa positioned a boxing bag in the middle of the room. She then informed me and my legs that we were going to do some kick boxing style exercises. All of a sudden I had flashbacks to that killer class at the YMCA where she had me kicking until I couldn't kick anymore. You know, if I pretend to have left something important in the car—maybe I can high tail it out of here...STOP IT---I was ready—or at least that's what I kept telling myself. We did several kicks: straight forward kicks, side kicks, round-house kicks, and then a combination right-left kicking exercise that made me feel like Chuck Norris for a few seconds. Just a few. Melissa made sure I was keeping proper form, at one point refusing to let me stop until my foot struck the bag in proper position. That'll make you get it right! You mean if I get it right we can stop my assault on this poor little bag? Yes, yes---and I did get it right. We corrected my form on some of the other exercises I've been doing from last session and she even added some and tweaked others for optimum efficiency. Oh, she's good---real good. The stretching is such a vital component, and the one part I often ignore. I don't think she's going to allow me to ignore it any longer. My legs felt wobbly and my arms twitched from the weight training movements. I learned that small changes to form can make the biggest difference in our ability to do a particular movement. If I'm having trouble with something, chances are good I just need to adjust my position, or form—as I like to call it now. Imagine that, me—a former 505 pound man, concerned about form. If I could, I would meet with her every single day for a workout. Oh my—it was and always is a great workout. And you know what I noticed? I do a better morning show after a workout like this. Seriously, I'm a little more open and myself when I'm feeling really good. It's a big enough difference that one of my listeners called this morning and commented “you're sure lively this morning.” Thank you---I really should be that lively every morning. I decided to work through lunch and just eat my mid-morning snack to hold me over until I arrived back at the apartment. On the way back to the apartment, I grabbed some smoked chicken at a popular BBQ place. I don't order the meal---just the chicken. They try to explain the value of the meal and I try to explain that I don't want potato salad and beans, or bread and sauce. I'm simply interested in the chicken. It's so good and so perfectly smoked, it's all I need! And it's cheaper than if I had bought it at the store and tried to cook it myself. Oh wow, it was some really good chicken! After eating and answering some emails---I decided that I must have a nap. I'm so proud of myself! I actually enjoyed a controlled nap of an hour and fifteen minutes. So much better than my schedule scrambling three hour snooze fest! The evening was planned. I had a script reading to attend with my fellow actor friends, Amber was coming in from school for the weekend, and I had another workout to enjoy before bed. My day was pretty solid. I like it a bunch. It really got me to thinking about choices and the importance of taking it one day at a time. Linda, a regular reader, sent me an email with the “one day at a time” message, and it's so true. This journey isn't about 487 days of concentrated effort. I didn't start off on day 1 thinking---Ok, I need to make it this number of days and I'll be over 230 pounds lighter, no---it's just one day. One day of good choices. Not perfect choices, just good choices. Today is the only thing that matters at this moment. If I can get through this day and be proud of my choices, and then put a bunch of these days back to back with each other---then, well---my life will change. That's so important to remember on this journey. I guess that's why this time I never filled out a calendar with goal weights for the entire year. I always did it before when I tried to lose weight. But this time I wasn't and I'm not worried about any other day except my choices today. I'm not saying that writing down goals is bad, it's not. I'm just saying that I always concentrated on the entire journey---forgetting to concentrate on just one day. Instead of looking at the potential results scribbled on a calendar, I've worked on one day at a time---taking those results and the rewards along the way. Yeah...this time is so different from all the rest. That's an understatement.